Focal cortical dysplasias (FCD) which represent a composite group of cortical malformations are increasingly recognized as morphological substrate for severe therapy-refractory epilepsy in children and young adults. However, presurgical evaluation remains challenging as not all FCD variants can be reliably detected by high-resolution magnetic resonance imaging (MRI). Here, we studied a cohort of 52 epilepsy patients with neuropathological evidence for FCD using the 2011 classification of the International League against Epilepsy (ILAE) and systematically analysed those histopathologic features applicable also for MRI diagnostics. Histopathologic parameters included quantitative measurements of cellular profiles, cortical thickness, heterotopic neurons in white matter, and myelination that were compared between FCD subtypes and age-/localization-matched controls (n = 36) using multivariate analysis. Dysmorphic neurons in both FCD Type II variants showed significantly increased diameter of their cell bodies and nuclei. Cortical thickness was also increased with a distinct loss of myelin content specifying FCD Type IIb from IIa. 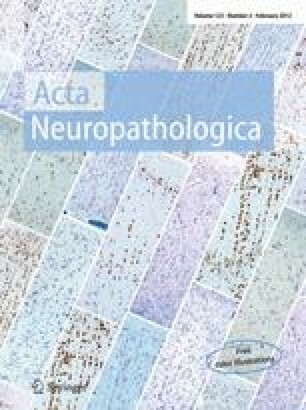 The data further suggested that myelination deficits in FCD Type IIb result from compromised oligodendroglial lineage differentiation and we concluded that the “transmantle sign” is a unique finding in FCD Type IIb. In contrast, FCD Type Ia was characterized by a smaller cortical ribbon and higher neuronal densities, but these parameters failed to reach statistical significance (considering age- and location-dependent variability in controls). All FCD variants showed abnormal grey–white matter boundaries with increased numbers of heterotopic neurons. Similar results were obtained also at deep white matter location. Thus, many FCD variants may indeed escape visual MRI inspection, but suspicious areas with increased or decreased cortical thickness as well as grey–white matter blurring may be uncovered using post-processing protocols of neuroimaging data. The systematic analysis of well-specified histopathological features could be helpful to improve sensitivity and specificity in MRI detection during pre-surgical work-up of patients with drug-resistant focal epilepsies. We kindly thank B. Rings for her expert technical assistance. This work was supported by the EU FP6 EPICURE project (LSH-CT-2006-037315) and the funds of the “Österreichische Nationalbank (Anniversary Fund, project number: 12063)”. This study will be part of the doctoral thesis (AM), entitled “Pediatric Epilepsy Surgery: Predictors of (un)favourable Outcome” (www.meduniwien.ac.at/clins).